Many of you are probably familiar with the story of Helmuth Hübener. He was the young German teenager that was executed by Adolf Hitler for treason. It’s a wonderful story and BYU actually turned it into a play in the 1970s. However, Church leaders were upset by the play and decided to suppress it. Why was that? 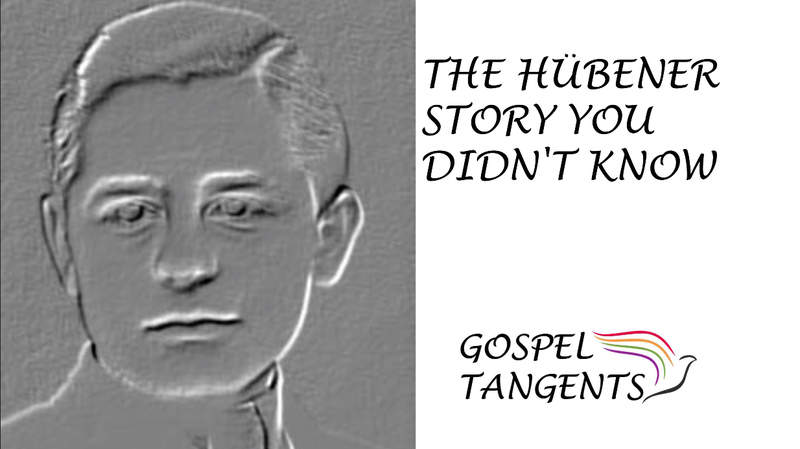 Dr. David Conley Nelson details, as Paul Harvey would say, “the rest of the story.” This is the story about Hübener you probably haven’t heard. Elder Monson arrives and he takes in the play and he just doesn’t seem to be as happy according to other witnesses as the rest of them. Word comes down two days later through Dallin Oaks, there will be no more productions of “Huebener Against the Reich.” In fact, Thomas Rogers is prohibited from releasing—it’s his intellectual property, but he is prohibited from giving permission for anybody else to use that play. David: Furthermore, Alan Keele and Douglas Tobler are “asked” to put a hold on their research and not publish anything. A couple of things have happened. First off the German-American community got to Thomas Monson. They don’t like it, they don’t like it at all because Hübener should not be considered a hero, he should be considered in some of their eyes an example of how not to behave. What does Dr. Nelson believe? The fact is, and this is my professional opinion, that Thomas Monson got it wrong because he didn’t know enough about German culture. He was a real great knowledgeable guy about German-American Mormons, but he did not realize that it was in the church’s best interest. If he thought it was the church’s best interest to suppress Hübener, he was just diametrically wrong. It would have been in the church’s best interest to promote Hübener. Find out what else Nelson said, and don’t forget to listen to our episodes on Jewish Genealogy and J. Reuben Clark! Check out our conversation! Since it’s the end of the year I wanted to ask a special favor. We’re going to do a year-end review of all the fun interviews we’ve done here at Gospel Tangents, and I’d like to hear what was your most favorite interview, as well as what were the most surprising things you learned over this past year on Gospel Tangents? You can email me at Gospel Tangents at gmail dot com or you can also check out this link https://kwiksurveys.com/s/zK1fouUh that I’ve got for a special survey. I would like to include any comments you have in our year-end special. It will be coming next week. Please include that as soon as you can either by email or you can fill out the survey! Thanks a lot. I’d really appreciate it.